A Summerville forklift manufacturer is changing its name, introducing a new brand to its product mix and doubling its current workforce of 140 over the next three years. 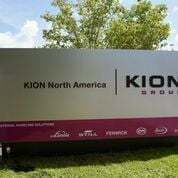 Linde Material Handling will mark the name change to Kion North America Corp. in a ceremony Friday at the plant. Linde is a subsidiary of the Kion Group of Germany. Signs at the U.S. company already reflect the name change, but it won't officially become effective until Jan. 1, CEO Brian Butler said. "We are changing the name to better align ourselves with our parent company," said Ashley McGee, the local company's digital media coordinator. Kion, part of the Summerville area since 1985, assembles forklifts and pallet jacks at its 225,000-square-foot factory on U.S. Highway 78 in Dorchester County. It also operates a 40,000-square-foot parts warehouse as part of the 58-acre plant site. The Summerville site currently produces material handling equipment under the Linde brand only, but that will change. The Kion Group represents six brands. The first new one coming to the local site is Still, currently sold throughout Europe. Kion's other brands include Fenwick, Om Still, Baoli and Voltas, all currently marketed in foreign markets. "Over the next three years, we will probably double in size," Butler said of the number of employees at the plant. Kion recently hired about 20 workers, many of them engineers, and expects to hire more production workers and staff members in coming months, Butler said. Among those participating in Friday's ceremonies from Germany are Bert-Jan Knoef, CEO and board member of Still, and Harald Will, chief technology officer and board member of Linde.